As I prepare to bed down for the night in Tokyo, encouraging word comes rushing round the ocean planet: Mr Kristjan Loftsson, the controversial Icelandic fisheries magnate who has spent the past decade trying to single-handedly resuscitate the international trade in whale meat, is turning out the lights and won't hunt endangered fin whales in the North Atlantic this year. This is very good news for whales and for lceland, a proud Viking nation whose folks have never had much interest in eating fin whale meat. 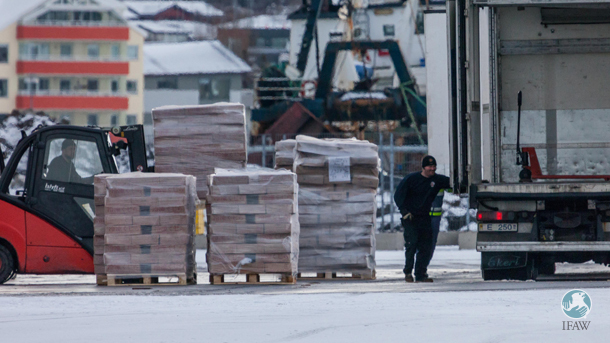 Mr Loftsson had therefore paid lots of Krona in past years to ship his spoils via various routes to Japan, in the hope people here might bite. But the sun is setting on the market for meat from dead whales, which is in free fall here in Tokyo too. In fact, the most profitable cetacean-centred commerce today is responsible whale watching, an exciting form of ecotourism whereby live whales deliver massive economic benefits to communities around Iceland, Japan and Norway, and 116 other, non-whaling countries and territories worldwide. IFAW and our Icelandic partners, staff and volunteers are heartened by today’s news. 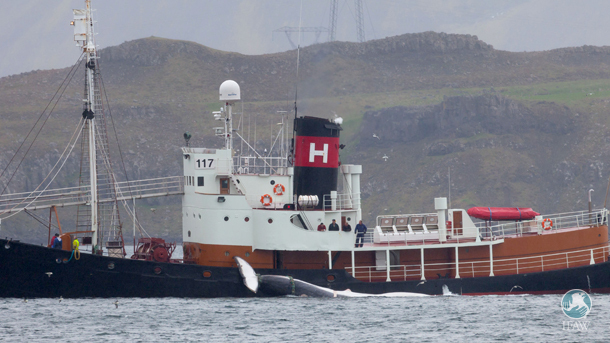 Having so long publicly criticised his whaling, we today commend Mr Loftsson on his decision, which is a very positive development for Iceland, for whales, and for the millions of people around the world who care about both.